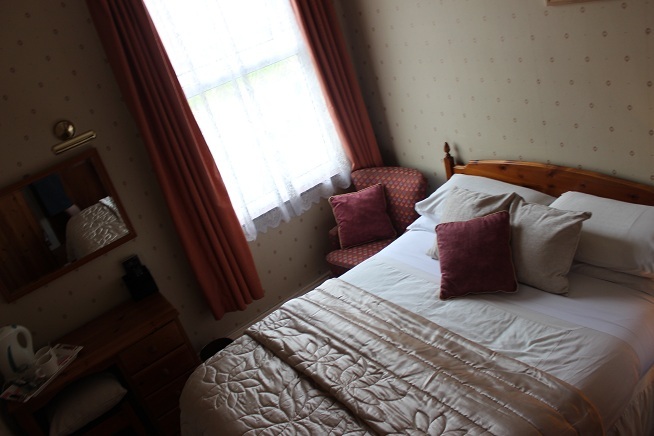 Room 12A in the Coach House Triple Room with adjacent quadrant shower large en-suite – rate from £95.00 per night for three people (Single occupancy £60.00 per night). Three single bed combination, including VAT & continental breakfast, £7.00 supplement for freshly cooked full English breakfast per person. Refreshment tray including tea and coffee (decaf on request). Flat screen TV with freeview, hairdryer and information pack. Free Wi-fi usage. Room 11 The Coach House .Twin Room with shower en-suite, refreshment tray including tea and coffee (decaf on request). Flat screen TV with freeview, hairdryer and information pack. Free Wi-fi usage. 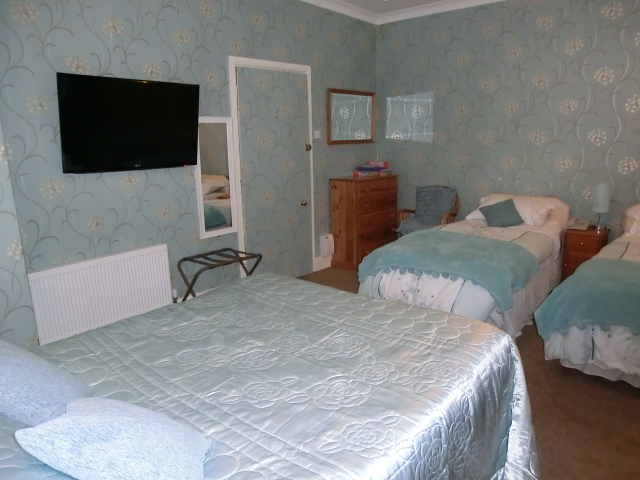 Room 10 – Triple Room with quadrant shower en-suite – rate from £95.00 per night for three people (Single occupancy £60.00 per night). 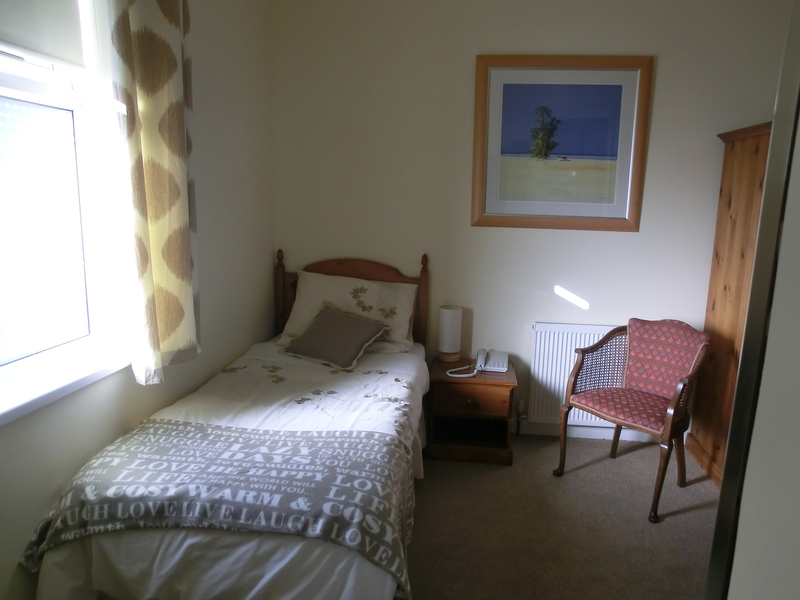 Double bed and single bed combination. 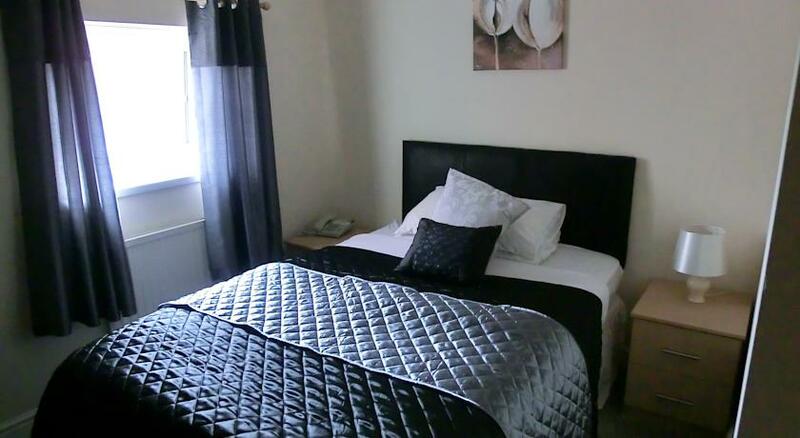 rate from £70.00 per night for two people (Single occupancy £60.00 per night) including VAT & continental breakfast, £7.00 supplement for freshly cooked full English breakfast. 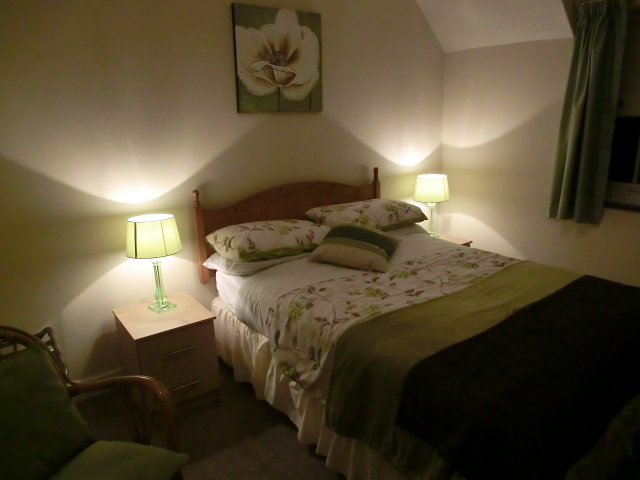 Single room with shower en-suite in the main house , refreshment tray including tea and coffee (decaf on request). Flat screen TV with freeview, hairdryer and information pack. Rate from £50.00 per night including continental breakfast and VAT, £7.00 supplement for freshly cooked full English breakfast. Free Wi-fi usage. 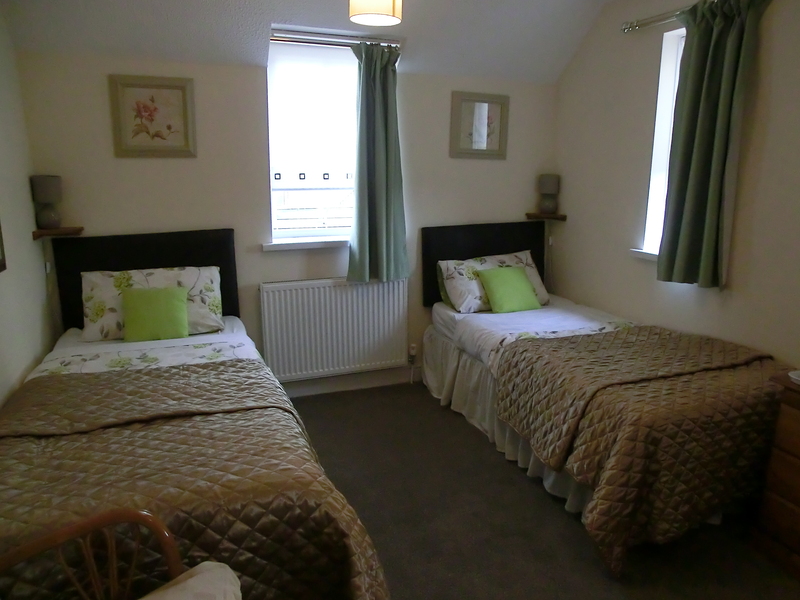 Room 3 Family Room in the Main House with multi-purpose child and adult shower en-suite – rate from £130.00 per night for four people. Ideally suits 2 adults and 3 small children. 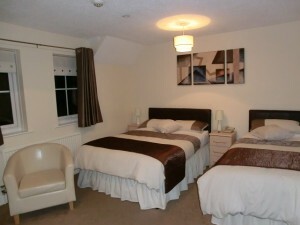 (Single occupancy £70.00 per night). Room 7 – Single room with shower en-suite in the main house , refreshment tray including tea and coffee (decaf on request). Flat screen TV with freeview, hairdryer and information pack.